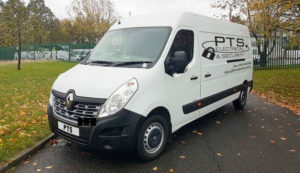 PTS Electrical & Security is a family run business, with over 20 years of experience in the electrical contractors field and locksmith services. For both the domestic and commercial environments. Based in Peterborough, South Cambridgeshire. We are in a great location next to the A1(M) enabling us to then offer our services throughout Cambridgeshire. As well as Huntingdonshire, Rutland, Leicestershire and Lincolnshire. We guarantee that all our tradesmen are highly qualified. Maintaining their qualifications and registration in terms of electrical design, installation and testing as well as UK locksmith association registered. All electrical work carried out by PTS is guaranteed for 6 years through the NIC EIC, so you know our work is of the highest standard. Our professional project management team oversee all our projects from the initial consultation period to the flick of the switch. We ensure full legal & health & safety compliance. The safety of our staff and our customer being our number one priority.